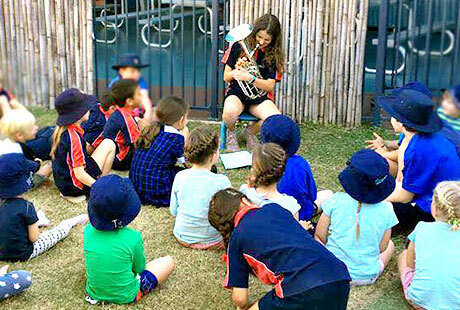 Professor Katrina McFerran at the University of Melbourne is undertaking a research investigation into Just Brass and its effects on children, schools, families and communities. 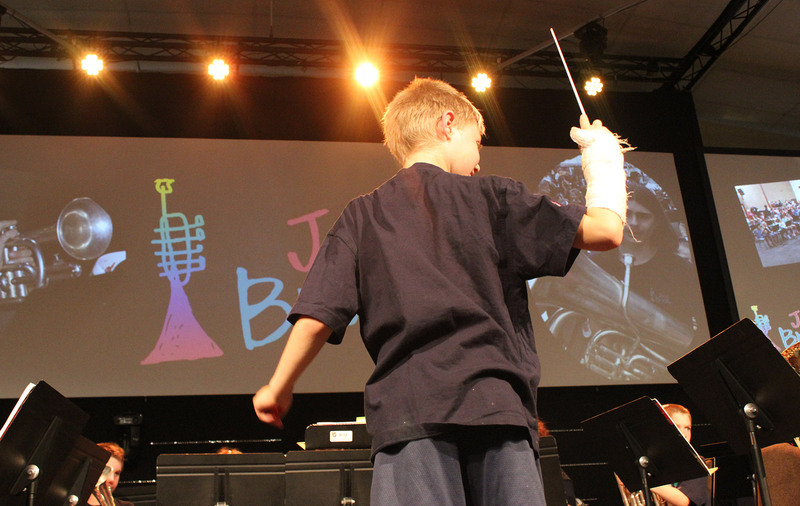 "Why does participating in the Just Brass ensemble seem to make such a powerful difference in some children's lives? A study undertaken in collaboration with the University of Melbourne conducted research to find out. Based on existing research, we expect it is to do with connecting in a meaningful way with others, whilst experiencing feelings of achievement and success that some young people don't get every day. But this program is a little different to many that run in schools, not just because it is solely Brass Instruments, but also because it is the same every time, instead of being tailored to different kids and contexts. There is something to this winning formula that needs to be discovered!" "Teaching the performing arts in Primary Schools significantly boosts the results disadvantaged students achieve in academic subjects." An independent evaluation indicated that in national literacy tests the proportion of Year 5 students meeting minimum standards in reading rose 90% compared to about 65% in non-arts schools. "music maximises student engagement and provides opportunities for a child's personal development that no other subject can match. Music improves confidence, self-expression and fosters creativity and enhances health and well-being. Making music in teams helps to establish a culture of tolerance and acceptance." We receive many stories from children explaining how their lives have changed since Just Brass became part of their school activity. 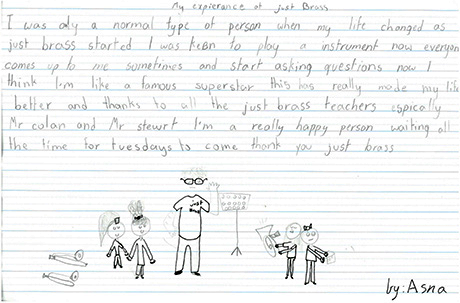 Eight-year-old Asna in this letter explains, in her own words, how Just Brass has made her life better.